Be read quickly. There’s a whole history about QR codes here. Seriously. Do you know how rugged QR codes are? 10% of a QR can be destroyed yet still be scannable. It’s like the Klingon of scanning codes. If you destroy or distort 10% of a barcode you are way less likely to have a successful scan. Why is the QR so awesome? 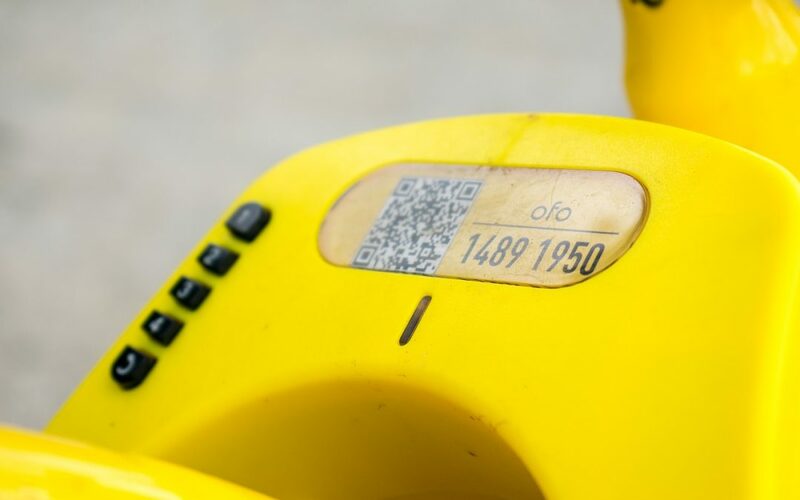 The surface of a QR code can hold almost a hundred times the information than a standard 1-dimensional barcode. Much of that information in the QR code is redundant. That is what makes it possible to scan a QR code from any direction, up to 360 degrees. This redundant data also allows for distortion, smudging, and other small destructions to the code, but still allows for successful scanning. That encoded data can then be interpreted in one of four modes: Kanji, byte/binary, numeric, or alphanumeric. The 2d image of black and white squares is recognized and read by a digital devices’ (smartphones and tablets) sensors. Then, the scanned information is interpreted by the device’s processors. The pixels you see in the square are made up of some formatting, but the bulk of the information is the data. What reads a QR Code? iPhones now have an update that allows it to read most QR codes right from its camera app. Android also allows this, so no need to have a separate app to check out the QR code. There are also apps you can add to your devices. For example, if you’re using QR codes to maintain inventory, there are apps that can scan the detailed information in the code and import it into spreadsheets for inventory management like our Scan to Spreadsheet app for both iPhone and Android. On posters and other marketing campaigns to encourage people to scan them and go to a website, a Facebook page, or some other URL from their mobile device. On business cards to quickly share your contact information. As a link to a Google Maps of your business location. To link to a YouTube video that describes how to use a product, or explains the background of a project. For holding data about products, such as pricing, SKU, etc. for use in inventory control management. And, there’s a host of other ways to use them. Need to make one QR code? Try out our free QR code creator. Need to generate a bunch of QR codes? Maybe you need them for an event, or you want to create codes for your inventory. Either way, we’ve got a way for you to do that. Check out our blog post on using Google Sheets to make your codes! It’s free and easy. And, if you're looking for solutions for your inventory by using QR codes, and an app like Scan to Web or Scan to Spreadsheet, check those apps out, or contact us for a private label solution.